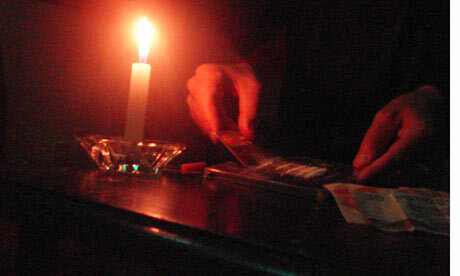 “Tonight we have two types of cocaine; normal for 100 Bolivianos a gram, and strong cocaine for 150 [Bolivianos] a gram.” The waiter has just finished taking our drink order of two rum-and-Cokes here in La Paz, Bolivia, and as everybody in this bar knows, he is now offering the main course. The bottled water is on the house. The waiter arrives at the table, lowers the tray and places an empty black CD case in the middle of the table. Next to the CD case are two straws and two little black packets. He is so casual he might as well be delivering a sandwich and fries. And he has seen it all. “We had some Australians; they stayed here for four days. They would take turns sleeping and the only time they left was to go to the ATM,” says Roberto, who has worked at Route 36 (in its various locations) for the last six months. Behind the bar, he goes back to casually slicing straws into neat 8cm lengths. La Paz, Bolivia, at 3,900m above sea level – an altitude where even two flights of stairs makes your heart race like a hummingbird – is home to the most celebrated bar in all of South America: Route 36, the world’s first cocaine lounge. I sit back to take in the scene – table after table of chatty young backpackers, many of whom are taking a gap year, awaiting a new job or simply escaping the northern hemisphere for the delights of South America, which, for many it seems, include cocaine.